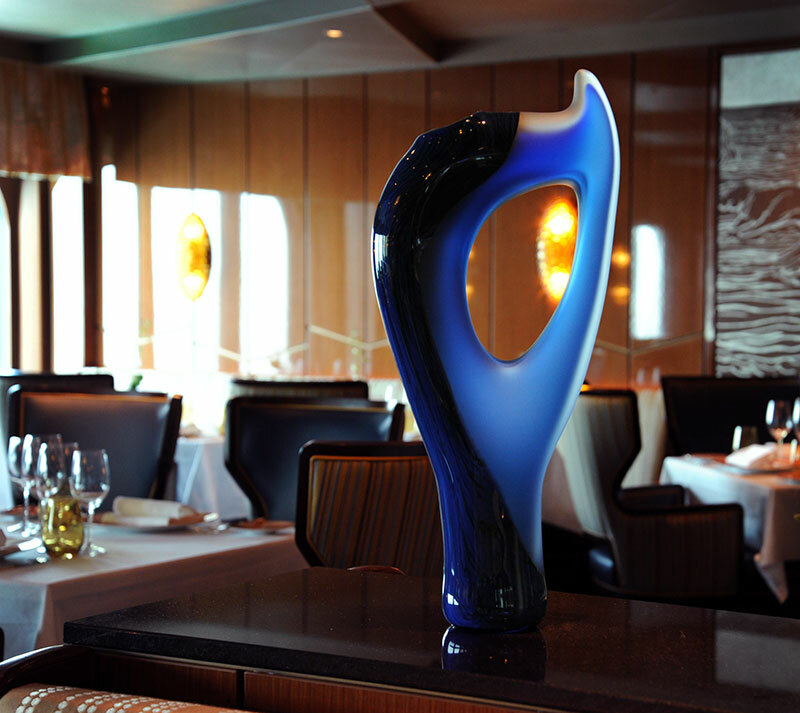 Our unique sculptural art glass makes the perfect statement in an overall project. Many clients contact us for one or two ‘key’ pieces they need to complete a larger project. The impact of one or two well chosen works of art can be the perfect solution to elevate the ambiance of an environment. We worked with ArtLink, an international art consultancy located in Tel Aviv, for their art design project on-board Holland American Line’s newest and largest cruise ship – MS Koningsdam. The photos from their project show work from our Blue Color Collection of glass sculpture, the Tall Avelino and Vilano in blue. 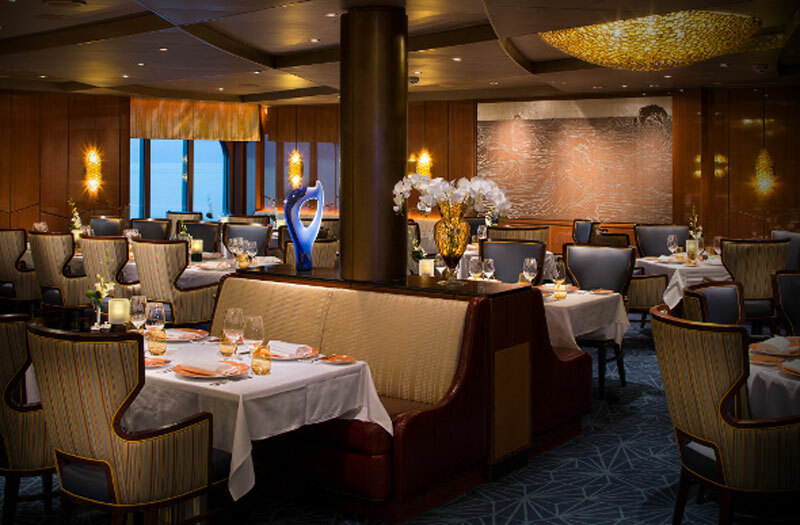 The work is located in the luxurious Pinnacle Grill restaurant on-board the ship. 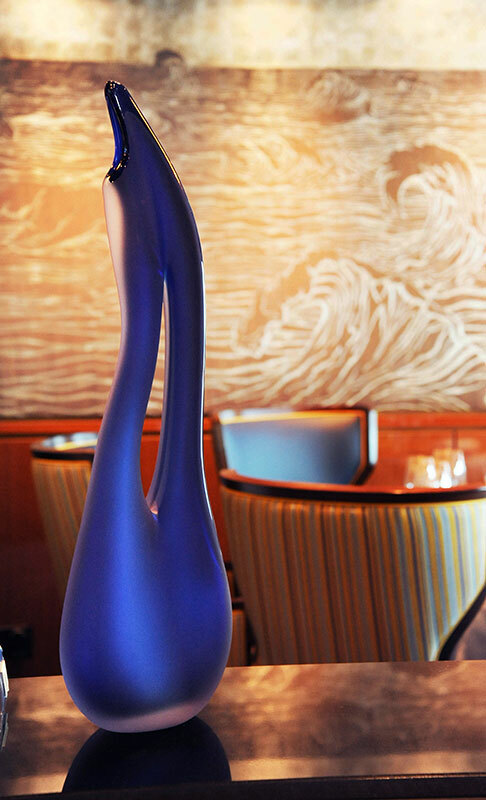 The addition of our hand blown art glass ties together the elegant and sophisticated atmosphere of the space. The interior of the Pinnacle Grill illustrates that one or two carefully selected glass accent pieces may be all that is needed to transform a room.